DBA’s 4000 Series XD variant features DBA’s non-directional cross drilled and dimpled rotor design. The XD finish provides additional cooling benefits above the HD spec, along with enhanced sports looks. The DBA mix of dimples and drilled holes provides enhanced rotor structural support above transitional cross drilled techniques. 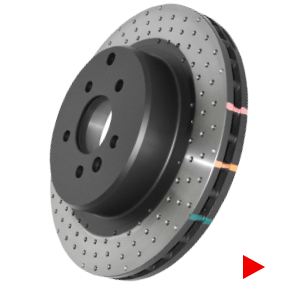 XD rotors are denoted by the suffix (XD) in 4000 Series part numbers. 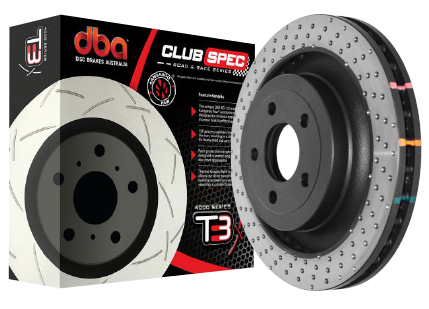 DBA’s 4000 Series T3 is the ultimate in direct replacement single-piece performance brake rotor. Featuring all the benefits of the 4000 Series plus DBA’s patented world renowned T3 bi-directional slot design. Built on the foundations of DBA’s T2 slot, the T3 slot design features additional, precise, CNC machined tri-symmetrical slots, resulting in an even quieter, more responsive and smoother brake pedal feel. The T3 slot increases the number of exit points for brake pad friction dust and gases to escape through, further increasing the consistency and effectiveness of every brake stop. 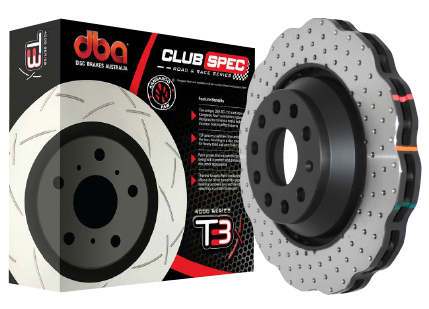 DBA’s 4000 Series T3 rotors are recommended for all performance applications from street driving, 4×4 and SUV, light utility vehicles, track days, rally cars and armoured vehicles. 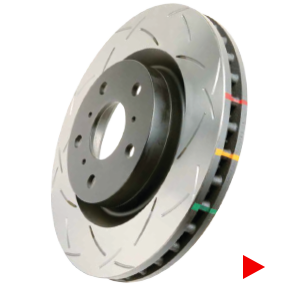 T3 rotors are denoted by the suffix (S) in 4000 Series part numbers. Wave Technology is the latest performance offering from DBA. Inspired by motocross and high-end niche performance vehicles, DBA achieves a wave finish through individual precision milling of 4000 Series rotors. 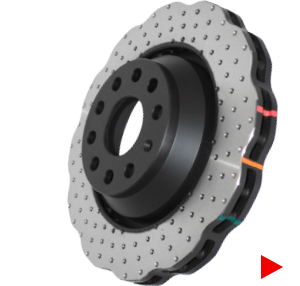 The Wave is a fresh take on brake rotors that offers a weight reduction benefit over traditional circular rotors plus an impressive look! 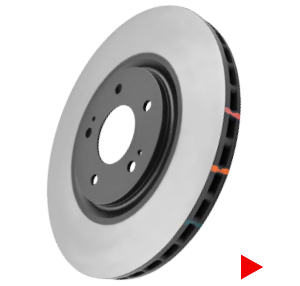 4000 Series Wave discs are available in HD and XD variants.